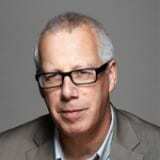 Jeremy Myerson is an academic and author specialising in design and innovation. He is Director of the WORKTECH Academy, a new global knowledge network exploring the future of work and workplace, and holds the Helen Hamlyn Chair of Design at the Royal College of Art. He is also a Visiting Fellow in the Oxford Institute for Population Ageing, University of Oxford. An authority on workplace design and innovation, Jeremy Myerson founded Design Week magazine in 1986 and later, in 1999, co-founded the Helen Hamlyn Centre for Design, the Royal College of Art’s largest centre for design research, which he directed for 16 years. The author of more than 20 books in the field, his most recent titles include Time & Motion: Redefining Working Life (2014) and Life of Work (2015). He has spoken at leading conferences and corporate events around the world and sits on the advisory boards of design institutes in Korea, Switzerland and Hong Kong. He was recently named by Wired magazine as one of Britain’s 100 most influential people in digital technology.